Even if you are not up for epic adventures into the wil­derness, make a habit of taking at least a few minutes to get outside for some nature therapy at least once or twice daily. There is virtually no weather that keeps me indoors; it’s just a matter of dressing appropriately. And here in the middle of the USA, we get a wide variety of weather during four distinctly different seasons, which I find imbues life with a reassuring natural cyclical rhythm. Taking a brisk walk in a nearby park, or just along a tree-lined street can provide ben­efits, both immediate and long-term, to your health and happi­ness. 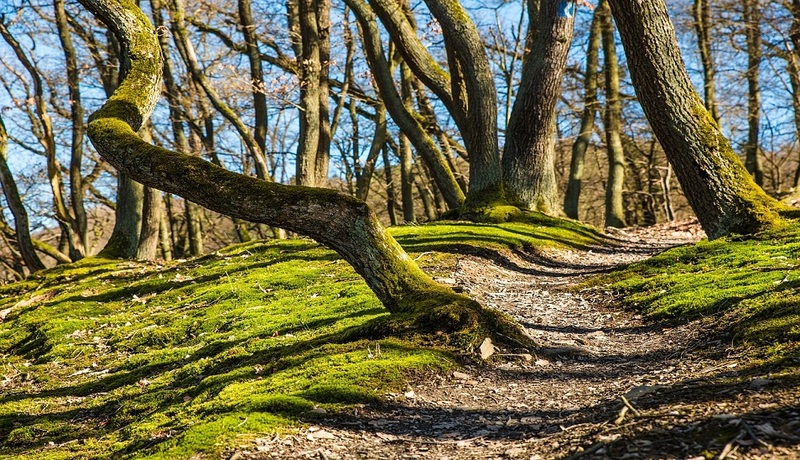 Getting outside in any natural environment can be restorative, even if it is nothing more than small green space in the middle of an otherwise drab, bustling urban asphalt and concrete metropolis. The key is to move your body once you find a natural sanctuary. Green exercise—walking, running, biking, swimming, gardening, stretching, etc. in an outdoor natural setting, will boost your mood and self-esteem, and, over time, can dramatically improve your physical and mental health and well-being. Try to incorporate some outdoor nature time in almost every day area that has trees and grass along your route. Visit a nearby park, or any green space, during breaks in your workday, over lunch hour for example, or during coffee breaks, or immediately after finishing work. Plant a garden and nurture plants in your yard and inside your home. Take vacations to naturally beautiful locations. Take your dog outside for walks regularly. Eat outside whenever you get the chance. Sit or work by a window with a view of a natural setting whenever you get the opportunity. Instead of always meeting indoors, occasionally go for an outdoor walk with a colleague or co-worker while you discuss an issue. Make a point of appreciating and commenting upon natural splendor such as a gorgeous sunset, a majestic oak, a beautiful garden, or a brilliant moon.